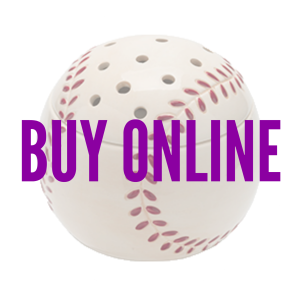 Slide in to home plate with this sleek baseball Home Run Scentsy Warmer. Add a fun, fragrant element to your little leaguer’s bedroom, or biggest baseball fan game room. 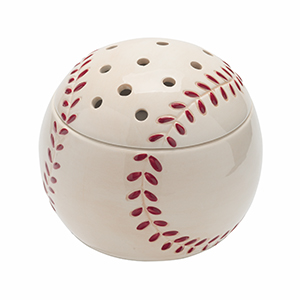 Add your favorite game-day fragrance with a few Scentsy cubes and get a great start on baseball season opening day. Home Run Scentsy Warmer is is 4.5″ tall and comes with 2 pieces, including an electric Scentsy warmer base, and the finishing top that conceals scent wax. This wickless candle warmer uses a warming plate to gently warm your wax melts.